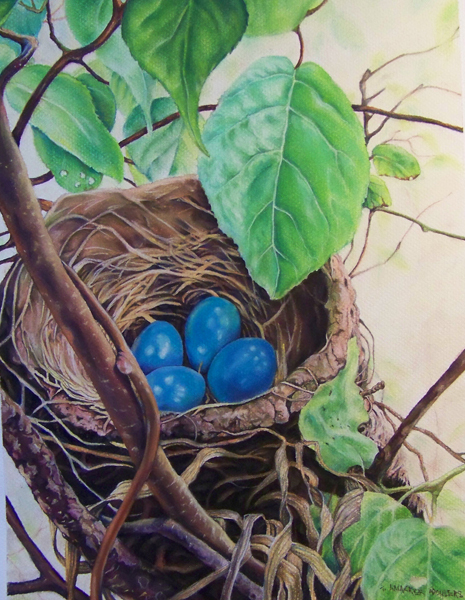 What better media than brilliant pastels to record the bright blue color of robin’s eggs. I watched this group evolve from egg to fledgling flyers eager to take to the sky. Nature and landscape works can be meticulous illustrative pieces.